Exuma Airport (GGT) is a public/civil customs port of entry into the Bahamas with facilities which include a new control tower and extended runway length. Exuma airport has undergone several upgrade projects over the last few years. The facility upgrades were made to accommodate the growth in tourism, especially since the opening of the Sandals hotel at Emerald Bay. Now the island is becoming a hub airport, with direct flights from Nassau, Florida and North Carolina. 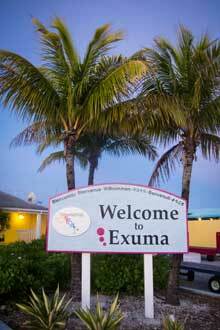 Exuma Airport is located about 15 miles North West of George Town, the largest settlement in Exuma and is a 30 minute drive.